So this weekend bounced between awesome and wisdom tooth awakeningly horrible. I'm not even kidding. Though outwardly calm (and inwardly I thought) I was apparently so livid my long dormant lower-left wisdom tooth decided to complain along with me. I've got a bunch of pictures from both events and should update in the next week. 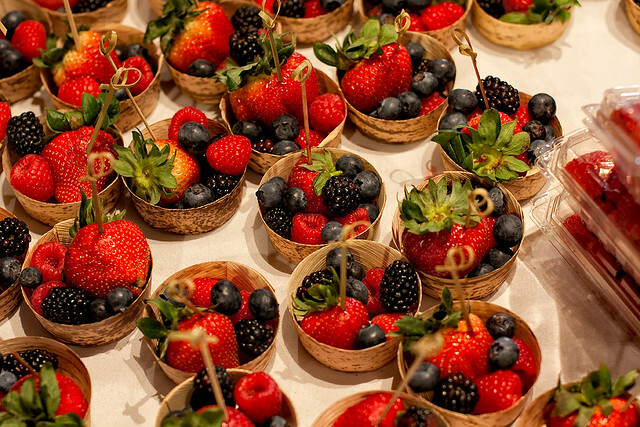 Here's a picture of berries. Everyone (not allergic) likes berries. In "berries", "blackberries", "blueberries", "raspberries", "strawberries"